“All My Loving” – here’s a great song!! In a key that I can’t sing in…..
It’s the version circulating the internet: Richard G’s, Dr. Uke, BUG….. they all start with Dm on “eyes”. The “home chord” is C. It’s too low for me to sing, and when I put it up one octave, guess what? It’s too high for me. 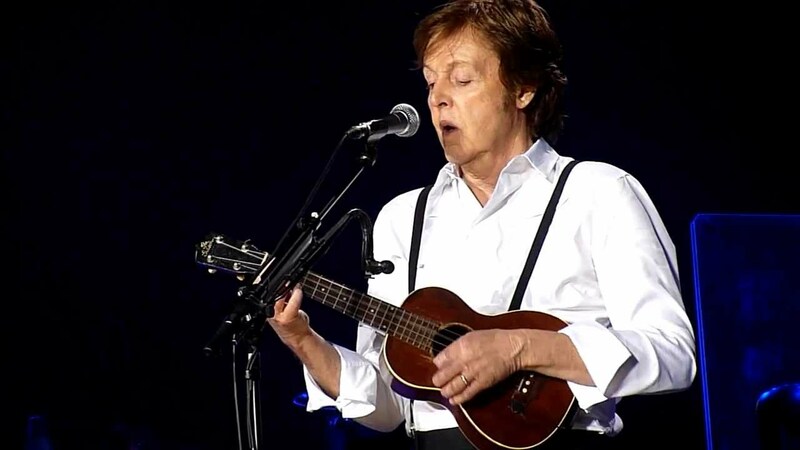 Sir Paul McCartney will likely cringe to read the next paragraph, but he’s not too likely to visit my website in reality, so…. After experimenting around, I found the Key of G makes this song much easier for me to sing rather than the Key of C, and also the Bridge/Chorus section follows the family of G chords much easier. Don’t be daunted by the line-up of chord progressions when you first look at my arrangement. Many people feel awkward when trying to progress smoothly between the G chord and the traditionally positioned Em chord, however, over the years I have learned a sneaky way to accomplish this without moving from the G chord formation, at all. You just reach around your third finger with your baby finger and use it to hold down the 3rd string in the fourth fret. Hey, your baby finger is already curled over anyway since the rest of your fingers are busy forming G chord. Might as well use it! Diagram below. There are three main chords in the Bridge/Chorus of All My Loving: G; a root chord of G; and another root chord of G.
According to THREE websites I visited from my Google search! It’s obvious that the anchoring notes of these chords are B on the 1st string (1st string, second fret) and G on the 2nd string (2nd string, third fret). Those two notes are what all three of these chords have in common, which links them with a nice-sounding “walk-up” of the 3rd string. Starting with Em, you will move up one fret from the fourth fret position on the 3rd string to the third fret position for the augmented G chord, and then finish in the regular position for the G chord itself, which will be the second fret of the 3rd string. Practice this particular section of the song beforehand. I also included optional [stop]‘s in my arrangement, just before playing that Bridge/Chorus section. This gives you a small enough pause during playing to get your fingers into the best position to take on the Em – Gaug – G sequence. Hope you enjoy it! All My Loving in the Key of G.